Top Hat 7 X 18 Flatbed car hauler trailer. 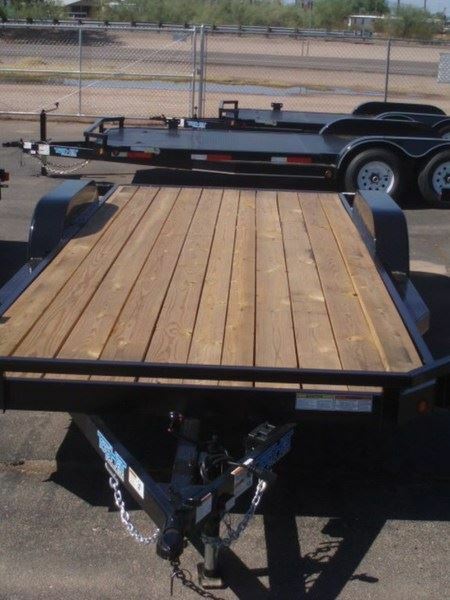 Trailer is 7' wide, 18' long, wood deck, slide in ramps, brakes on one axle, 15" tires & wheels, Bull-Dog Hitch, tandem 3500# axles.Stop at Bishop's Trailer Sales to shop the largest inventory in the state Shop at Bishop's Trailer Sales with over 20 years of experience. Don't forget to follow us on Facebook! !Bishop's Trailers Sales believes all information to be accurate, please verify features & pricing with a salesperson!